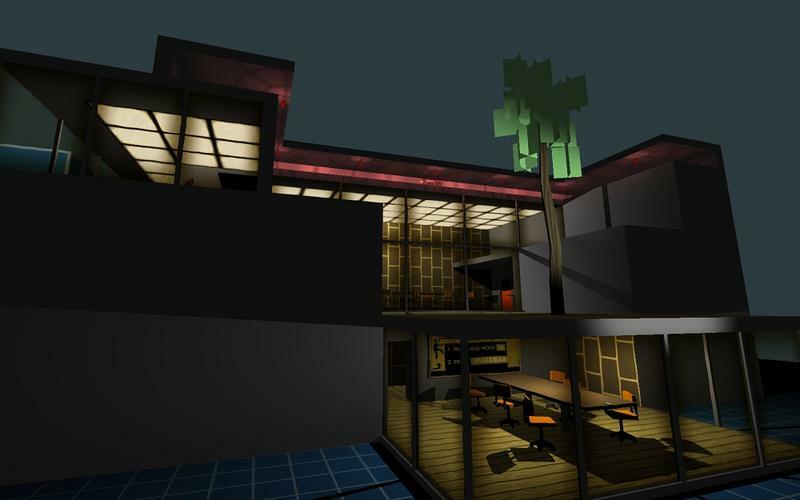 Imagine a game where players are tasked with running virtual heists from a hacker’s headquarters. 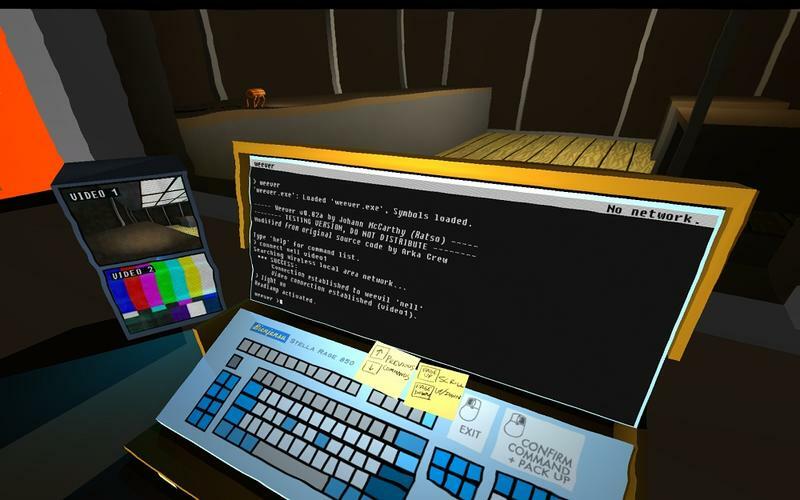 Within those virtual heists, players will drop portable computers and fire up, stay with me, a legitimate version of DOS to hack security cameras, open locked doors and shut off floor lasers. I’m describing a game that exists, and it’s called Quadrilateral Cowboy. If you’re even remotely familiar with the small world of indie games, then you’ve likely heard of something made by the studio responsible for this wonderful new title. 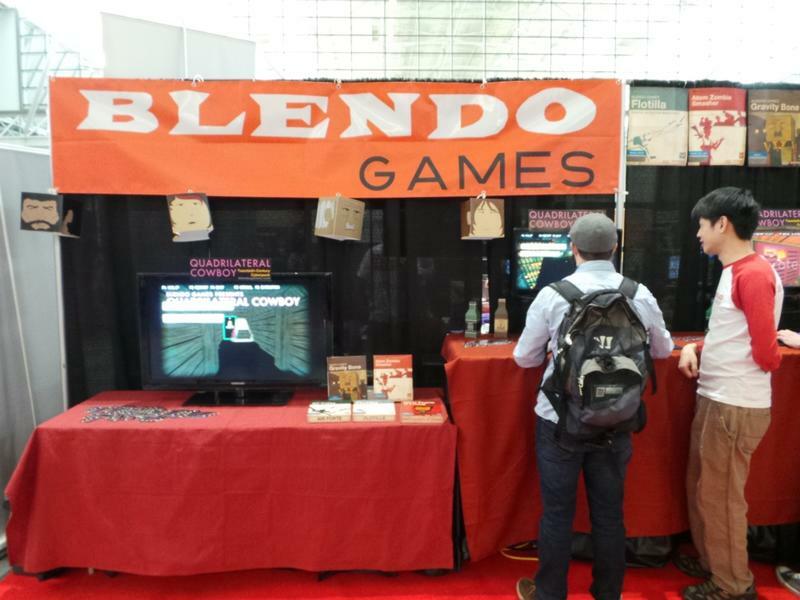 Blendo Games, founded and run by Brendon Chung, created 30 Flights of Loving and Gravity Bone. These were both exceptionally simple, experimental and unique games. Quadrilateral Cowboy meets those qualifications as well. 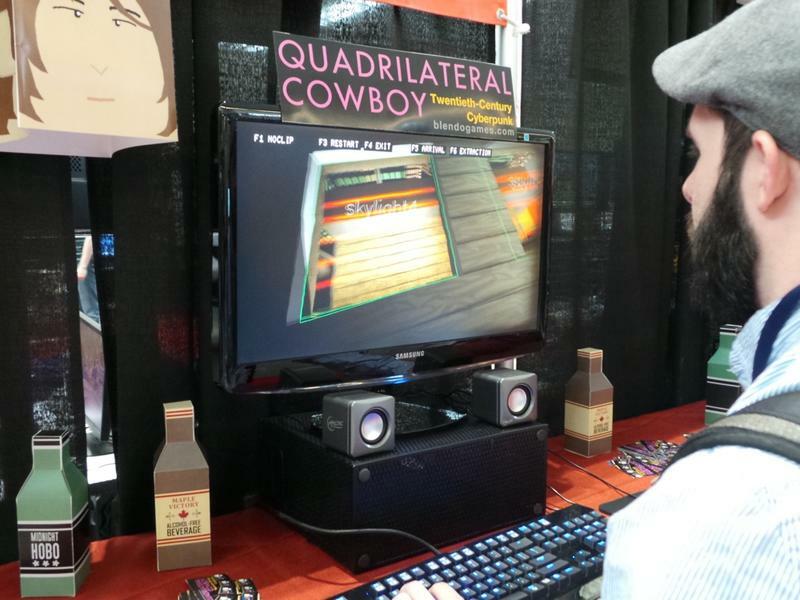 I had a really odd moment of clarity while playing Quadrilateral Cowboy this weekend at PAX East with Chung coaching from over my shoulder. I realized that I was playing a game that featured a fully working DOS and Telnet system. I was actually punching in strings of commands in order to move from room to room in a virtual space. Think about “hacking” in other games? It normally involves weird mini-games and quick puzzles that are exceptionally easy and turn into annoyances instead of actually good mechanics. In Quadrilateral Cowboy? Things feel more realistic. So, you’ll walk into a room with a locked door sitting in front of an alarm rigged to a laser grid. The game’s world shows that the door is labelled “door1” and the lasers might be called “laser8.” Here’s how the game would have players approach that moment. Those commands switch the lasers off and open the door for three seconds. You’d run through the door and bang into another set of puzzles that evolve in difficulty. I’ve been playing games for as long as I can remember. I also grew up using DOS as my main way to launch software. I can tell you that there is something incredibly charming about interacting in a heist themed world with DOS and Telnet. And Chung loved that I was so delighted by these things. I chuckled and sighed every few minutes during play, and Chung laughed at these every single time. At one point, he told me that it was really awesome that I was freaking out so much about playing. I was freaking out, too. 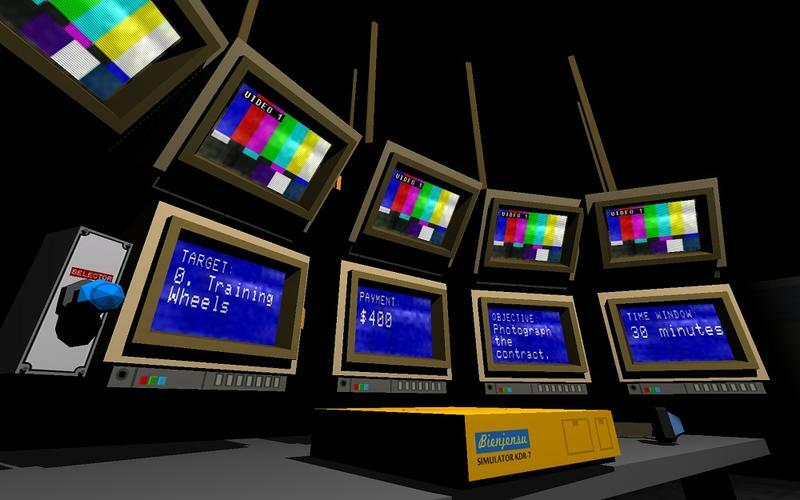 Quadrilateral Cowboy is easily one of the strangest games I’ve played. Yet, here I am, exceptionally excited about this new indie project that I’ve never even heard of. Chung said that they’re trying to hit 2013 for launch, but that’s definitely still a major question mark. Whenever it launches, we’ll be all over this one. We’re already trying to set up some post-conference discussions with Chung in the near future.